Frida Kahlo is more important to more people around the world than almost any artist I can think of. Van Gogh? Matisse, maybe? Vermeer? Leonardo? They’re all up there. 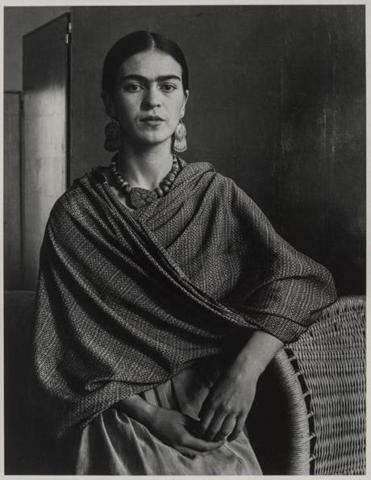 But so, emphatically, is Frida. She is a phenomenon. And it’s not a question merely of “popularity,” if that’s what you’re haughtily thinking. It goes far, far deeper than that, into realms of identification, eye-flaring wonder, and gut-level excitement that are always hovering on the edge of the combustible. Frida Kahlo is hot — too hot, most days, for mere critics to handle. Why do we love her so? The idea that art can do this — mainlining rawest emotions, transmuting hurt, physical suffering, and psychic slush into the pictorial equivalent of hard-packed rubies and sapphires — has inspired more people to take up art than anyone could count. “Dos Mujeres (Salvadora y Herminia)” is the only known work by Frida Kahlo to enter the permanent collection of a New England museum. What a coup, then, for the people of New England to have now their very own Kahlo, acquired by Boston’s Museum of Fine Arts. And no wonder that the museum’s staff was all aflutter last week (before the news became public) with rumors that a real Kahlo was in the building! 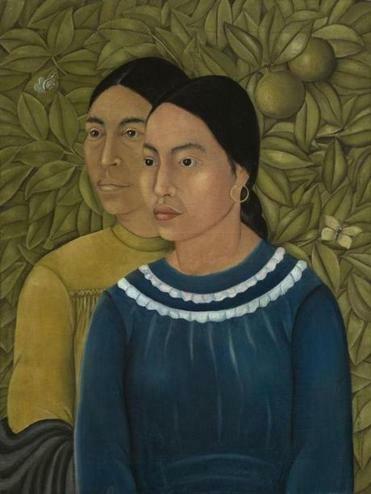 A key early work, the new acquisition is a double portrait of two native Mexican maids, one superimposed in front of the other, against a lush tropical backdrop of leaves. The maids, sober and self-possessed, are seen in three-quarter profile, early Renaissance-style. The picture, which is large for Kahlo, barely hints at the elaborate intensity of her smaller, surrealistic later portraits. But it has a specifically modern quality that is reminiscent less of the Renaissance than of German portraitists of the 1920s (Christian Schad, Otto Dix, Rudolf Schlichter). The image foreshadows, too, Lucian Freud’s early portraits of his first wife, Kitty Garman. But what makes the picture so memorable, to my mind, are its color harmonies. They’re harmonies you would never find in a Renaissance painting — not in a million years — and they leave us in no doubt that the portrait is Mexican. The deep, emphatic blue dress of the younger maid meets the chartreuse (a yellow quivering on the edge of green) of the maid behind. It’s as if Kahlo has simply combined both to produce the rich green of the background foliage. The contrast between the open, relatively unmodulated colors of these dresses and the busy, linear patterning of the proliferating leaves behind delights the eye, and sets off to perfection the dignified, beautifully modeled forms of the maids’ faces, their proud, perceiving eyes. A year after she painted it, Kahlo was married to Diego Rivera. For several years her art took a backseat to their marriage. But it flowered into its maturity, after the trauma of an induced abortion, during a trip to the US in 1931-32. One wishes it were otherwise, but illness and trauma are often prompts to great creativity. Kahlo had already, of course, had her terrible, bone-crushing, life-altering accident in 1925. That she was painting images as fine as this double portrait just three years later testifies to her prowess and self-belief. We might all be inspired.